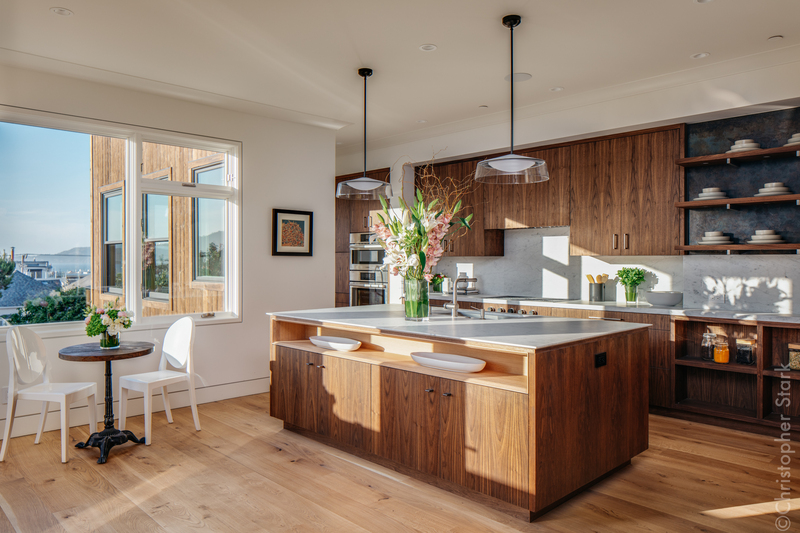 Nova Designs + Builds is a firm known for creating lasting beauty, exquisite craftsmanship and thoughtful design. 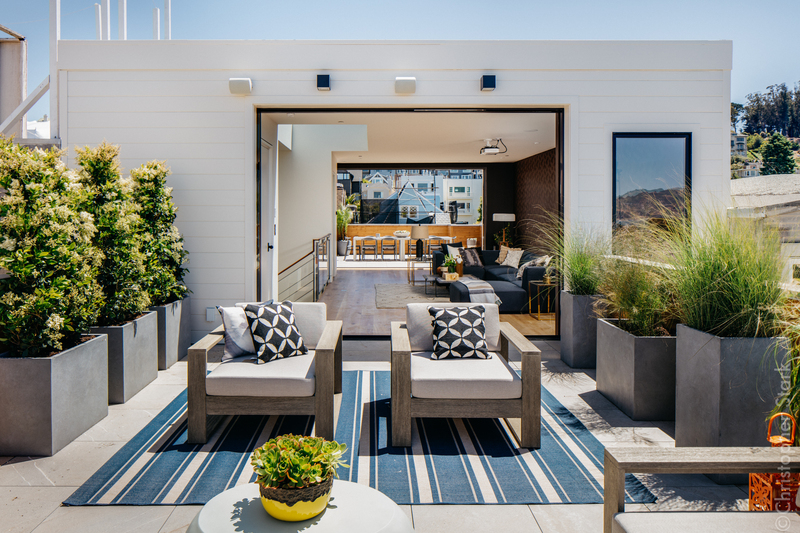 This San Francisco home is Nova’s next evolution in style, blending the clean line of contemporary design with hand crafted details and an eye to creating warmth – the home will impress at every turn. Spectacular views of the Golden Gate Bridge, Bay, and dead on views of the Palace of Fine Arts greet you at the entry and main living level. 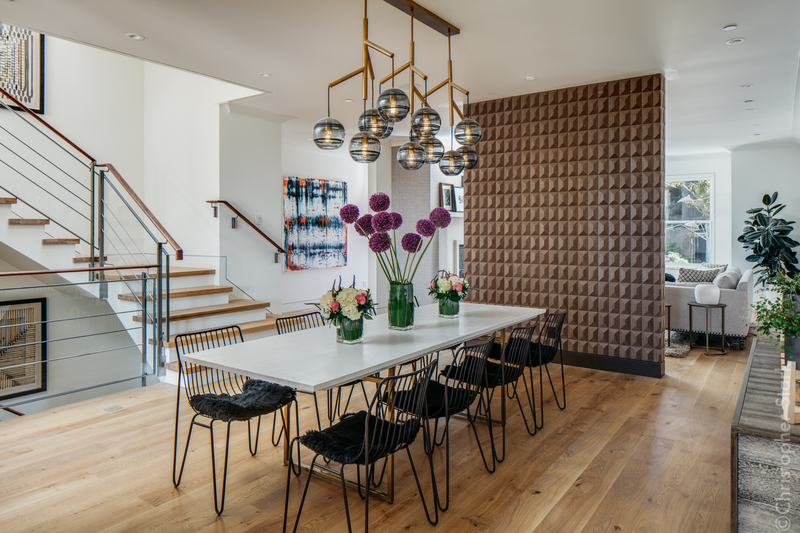 This floor has a feel of openness with defined areas for formal entertaining, formal dining, family room, kitchen and an office/breakfast area. 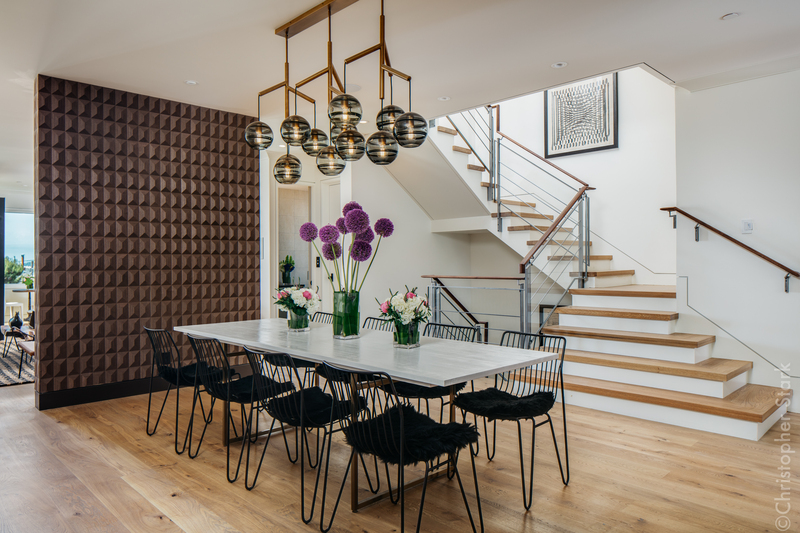 The home’s distinctive and playful architectural details, crafted steel, custom walnut cabinets, and high design all combine to create the unique aesthetic impulse of the home. 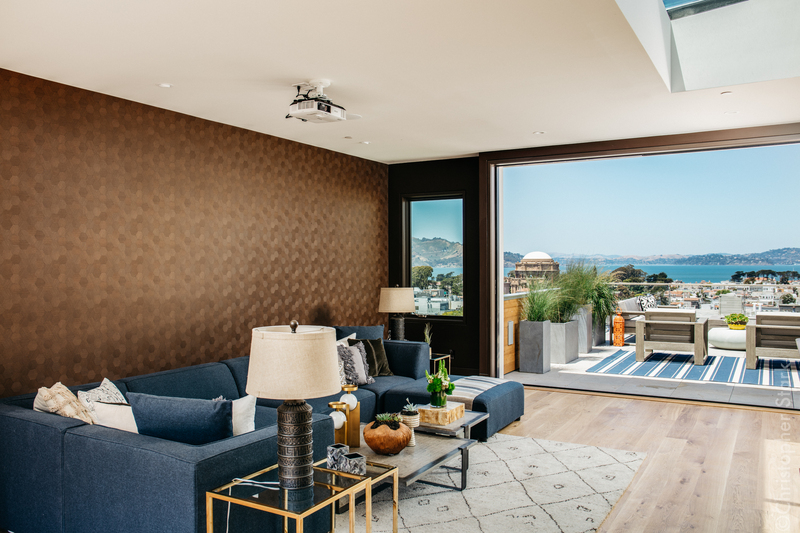 An open staircase accentuated with a grand skylight leads to the bedroom floor where once again, the Golden Gate Bridge and Palace of Fine Arts come into sharp focus in the luxurious master suite. Three additional bedrooms at this level, sharing two baths, make for an ideal configuration for a larger family. The sky media room offers some of the best views of San Francisco and holds the promise of excellent future entertaining. 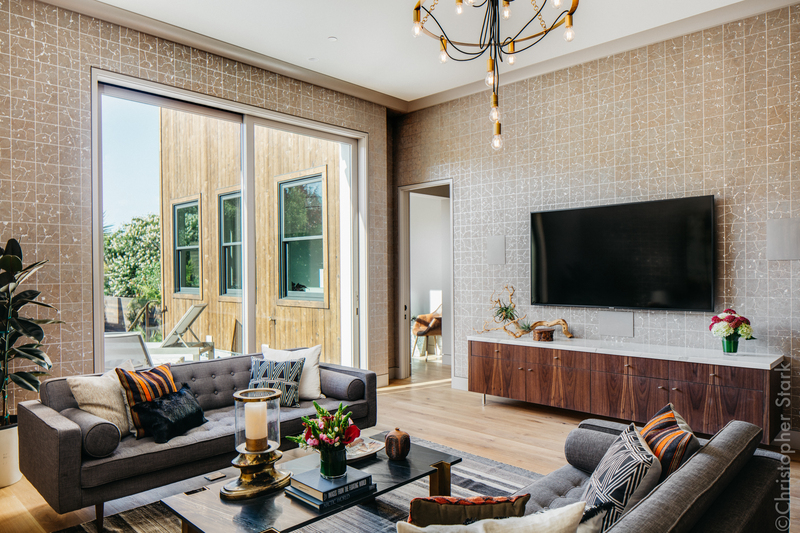 The drop-down 120” projector screen, state-of-the-art sound system, two large outdoor living spaces, with built-in BBQ grill, wet bar and a fire pit all lend themselves to endless entertaining possibilities. 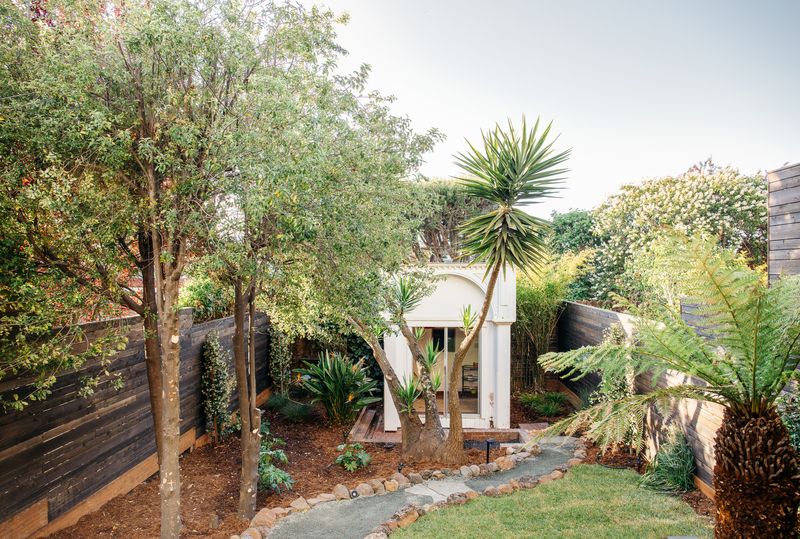 The downstairs family room with 12’ ceilings is another wonderful gathering space which offers direct access to a large outdoor patio and a landscaped yard. 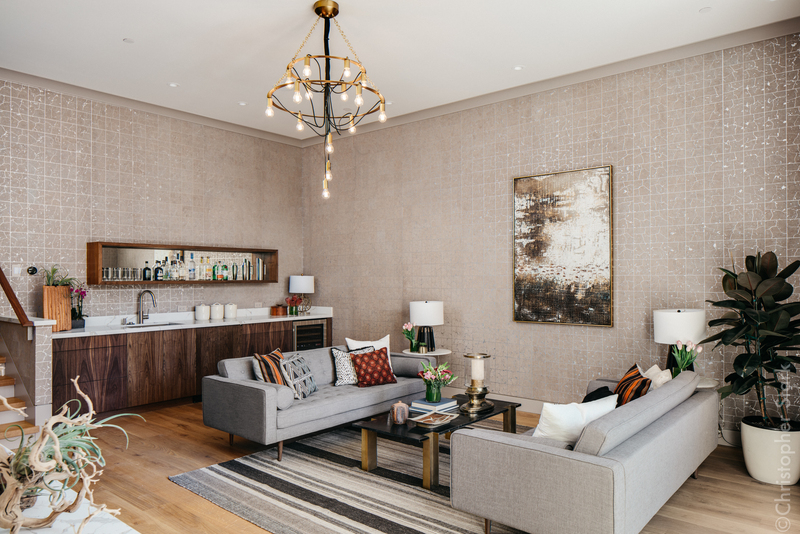 With a large TV in place and surround sound, wet bar, built in cabinetry and distinct designer wall coverings the potential use of space is multifaceted. The home’s fifth bedroom and a full bath with a steam room are also at this level, giving potential guest or extended family a true sense of privacy for a guest suite – all elevator connected from top to bottom. 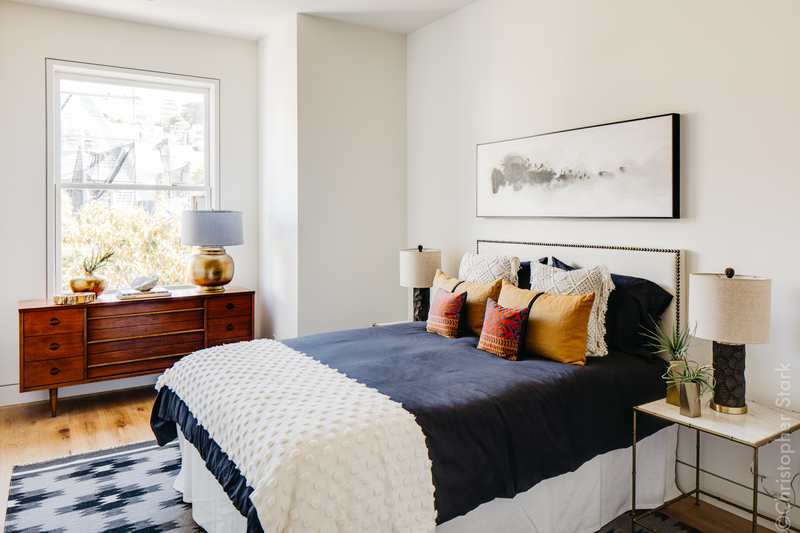 On a gentle tree lined block, this new home is only a short walk away from the Presidio and shops on Chestnut, Union and Fillmore Streets. With a large 3-car garage, plenty of built-in storage and a distinct street presence, the home is as practical as it is beautiful. This home is listed for $13.8 million with Paragon Real Estate, an affiliate of Luxury Portfolio International.